The Sleeping Children is a sculpted monument in memory of two children. 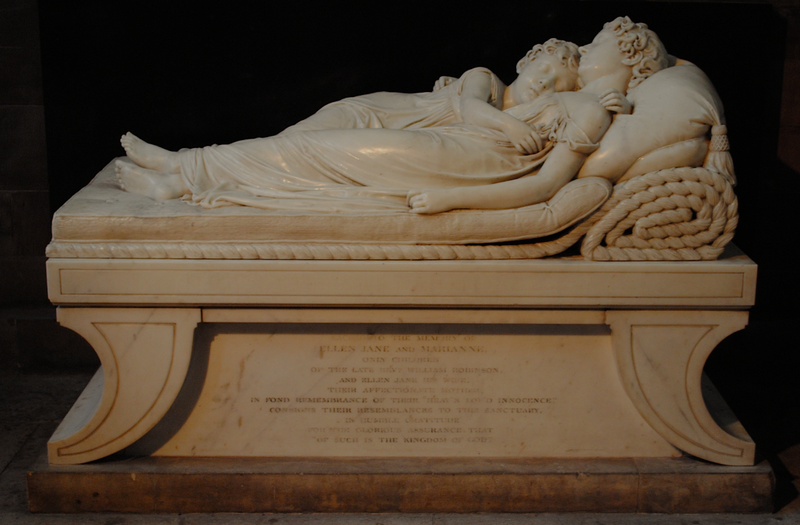 The monument is dedicated to the children of the Reverend William Robinson and his wife Ellen-Jane – Ellen-Jane and Marianne. The marble monument was placed in Lichfield Cathedral in 1817 and is the work of the 19th century English sculptor Sir Francis Legatt Chantrey.